The frame for your masterpiece… a proper fireplace mantel shall set the tone for all other furnishings in the room. Fireworks, Inc. provides design expertise offering solid wood, custom mantels in paint or stain grade. We represent five lines of custom wood mantels. Collinswood Designs, Readybuilt Products, Forshaw, Pinecrest, and Mantels of Yesteryear. Each mantel is constructed to the specific size you need, taking care to maintain proportion and symmetry. 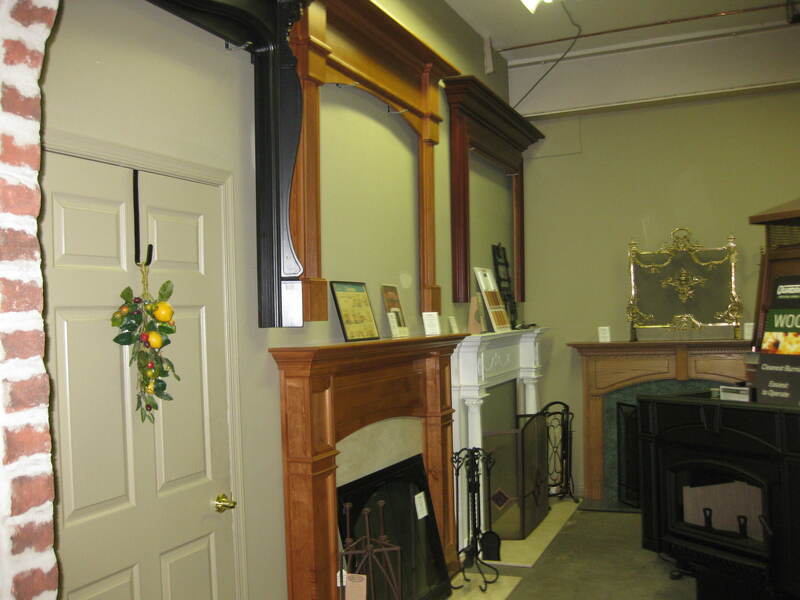 We also represent three lines of stock mantels. Fireside Furnishings, Pearl, and Fires of Tradition. These are designed to fit specific model fireplaces and/or standard size fireplaces. Some are very unique styles. All are well made. Most are economically priced. We are proud to offer custom travertine and limestone surrounds from STONEWAY. These unique solid stone mantels are produced in California and are the highest quality stone surrounds we’ve ever offered. We have three lines of cast stone surrounds. Dracme, Balmer, and Stonemagic. And last, but not least, we offer Cultured Stone stone facings for fireplace and stoves.